The Adams Idea a12 OS hybrid irons are built with ultra thin faces for a hotter ball flight for more distance and feature perimeter weighting for outstanding forgiveness. This set of game improvement irons includes 3 hybrids that feature Velocity Slot Technology for a spring-like effect across the entire face, which improves forgiveness and increases launch angle for better distance. 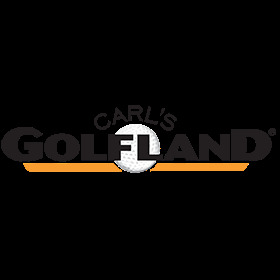 I am not one to write reviews, but I was extremely impressed with Carl's Golfland. I called to order these because other websites were running out very fast and I wanted to make sure that they were in stock. Doug was who drew the card to help me with this. He was more than helpful through the process. They priced matched to another competitor and shipped the same day (free). I received my new clubs in 2 days. I would recommend Carl's Golfland. The clubs feel good, hit straight. I was impressed with the shipping time. Great service -- will use your online service again.